webcam is ofline. We intend to go to Udaipur begin April 2012. Does anyone have more recent information about the water level today? Rajasthan University Of Health Sciences (RUHS) Has Published Recruitment NotificationFor Medical Officer Jobs on Direct Recruitment Basis . Application Form Will Be Published on every employment officer . Eligible Candidates will submit form on every depot . Rajasthan Police has announced recruitment for the post of Constable (tailor) 2012 bu the full detail is yet to be published on their official website. Candidates looking for it can still wait for a couple of weeks and then re-visit our website after or during this tenure. 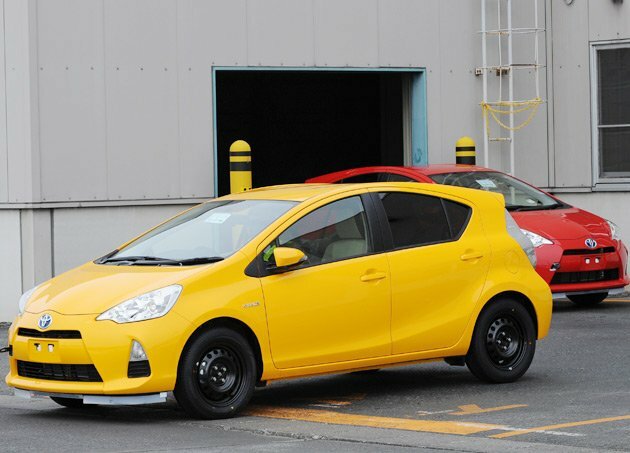 Mileage close to 40 kilometers per litre of petrol, performance and comforts at par with the celebrated hybrid Prius—all comes packed under the name The Toyota Prius c (Aqua in Japan) at a price of US$21,700 (INR 11 lakhs). One month’s sales has crossed 10 months’ target: 120,000 orders, and the pace of booking is getting more frenzied. For 17 hours a day, in every 75 seconds, one car rolls out of the assembly line. Currently available in Japan,US and Canada, the Aqua has stolen hearts in various auto shows across the world, and auto markets yearn for her. When does the Aqua come to India? Each affiliate program on Commission Junction has its own unique commission payment structure. Most affiliate programs will give you a fixed percentage of share for every affiliate product sold, however, there are also some affiliate programs that will pay a fixed rate for each of their affiliate product sold. So make sure you understand their payment structure before you apply for it. In fact, there are also a few (rare) affiliate programs that pay you for simply getting a visit to their website through your affiliate link – whether a product is sold or not. Obviously, the approval is difficult for such affiliate programs that also pay for every visitor you send their way. CJ has also a variety of affiliate programs where the visitor does not always need to buy anything. Such lead programs include affiliates such as credit cards where the visitor needs to fill out contact information or personal details from where the bank companies can contact them. These programs are more capable of making money for you because the visitor does not have to spend anything, so they tend to convert better. When you apply for an affiliate program you will find that the program offers ways to promote their product. Obviously it becomes important that you are aware of the various kinds of banners that are provided along with the program because it will become easier for you to promote it. Also CJ shows what banners of a certain affiliate program convert better, so you should also take that into consideration before you decide. There are many affiliate programs that will up your percent of commission after you cross a minimum amount of sales. For example, there are affiliate programs which will pay 4% for your first ten sales and then after ten sales they will pay you 9% for every product of theirs you sell thereon. This is a very important point especially if you are one of those affiliate marketers who is able to sell affiliate products in a very high volume. This is the most important point which you should consider when you are choosing an affiliate product to promote. The metrics will allow you to understand how well a particular affiliate product converts. Commission Junction allows you to see the performance metrics all the advertisers and ads within the network. This basically takes affiliate marketing to a whole new level. CJ shows a little bar for each advertiser – each bar shows the “network earnings”. The higher the network earnings – it means that affiliates are generating more revenue out of the affiliate program. CJ also displays the 3 month EPC and 7 day EPC – basically earnings per hundred clicks. In simple terms it means, for a hundred visitors you sent the affiliate, how many of them actually brought the product. These metrics and stats are a great way to understand what the revenue potential out of each affiliate program is. Most affiliate programs have a definition of sale. For most programs it is quite straightforward and simple. But in some affiliate programs they offer a little complicated definition to what constitutes a sale. Just to be on the safe side and not put your hard work in vain ensure that you read and understand the basic conditions of sale for a particular affiliate program. Commission Junction is a very reputable company that is used my many webmasters online. They are regular in their payment and have no history of fraud, Commission Junction was found in 1998. Another thing is that whether you are a publisher or advertiser, Commission Junction provides excellent customer service. I hope you found this post helpful. Please share your view with other readers by leaving a comment below. We, the leaders, gathered in Seoul on March 26-27, 2012, renew the political commitments generated from the 2010 Washington Nuclear Security Summit to work toward strengthening nuclear security, reducing the threat of nuclear terrorism, and preventing terrorists, criminals, or other unauthorized actors from acquiring nuclear materials. Nuclear terrorism continues to be one of the most challenging threats to international security. Defeating this threat requires strong national measures and international cooperation given its potential global political, economic, social, and psychological consequences. We reaffirm our shared goals of nuclear disarmament, nuclear nonproliferation and peaceful uses of nuclear energy. Committed to seeking a safer world for all, we also all share the objective of nuclear security. We recognize that the Nuclear Security Summit is a valuable process at the highest political level, supporting our joint call to secure all vulnerable nuclear material in four years. In this regard, we welcome the substantive progress being made on the political commitments of Participating States since the Washington Summit. We stress the fundamental responsibility of States, consistent with their respective national and international obligations, to maintain effective security of all nuclear material, which includes nuclear materials used in nuclear weapons, and nuclear facilities under their control, and to prevent non-state actors from acquiring such materials and from obtaining information or technology required to use them for malicious purposes. We likewise recognize the fundamental responsibility of States to maintain effective security of other radioactive materials. We reaffirm that measures to strengthen nuclear security will not hamper the rights of States to develop and utilize nuclear energy for peaceful purposes. Noting the essential role of the International Atomic Energy Agency (IAEA) in facilitating international cooperation and supporting the efforts of States to fulfill their nuclear security responsibilities, we further stress the importance of regional and international cooperation, and encourage States to promote cooperation with and outreach activities to international partners. Noting the Fukushima accident of March 2011 and the nexus between nuclear security and nuclear safety, we consider that sustained efforts are required to address the issues of nuclear safety and nuclear security in a coherent manner that will help ensure the safe and secure peaceful uses of nuclear energy. We will continue to use the Washington Communiqué and Work Plan as a basis for our future work in advancing our nuclear security objectives. At this Seoul Summit, we agree that we will make every possible effort to achieve further progress in the following important areas. 1. We recognize the importance of multilateral instruments that address nuclear security, such as the Convention on the Physical Protection of Nuclear Material (CPPNM), as amended, and the International Convention for the Suppression of Acts of Nuclear Terrorism (ICSANT). We therefore encourage the universal adherence to these Conventions. We urge states in a position to do so to accelerate their domestic approval of the 2005 Amendment to the CPPNM, seeking to bring the Amendment into force by 2014. We acknowledge the important role of the United Nations (UN) in promoting nuclear security, support the UN Security Council Resolutions 1540 and 1977 in strengthening global nuclear security, and welcome the extension of its mandate. We will strive to use the IAEA Physical Protection of Nuclear Material and Nuclear Facilities (INFCIRC/225/Rev.5) document and related Nuclear Security Series documents, and reflect them into national practice. 2. We recognize the contributions since the 2010 Summit of international initiatives and processes such as the Global Initiative to Combat Nuclear Terrorism (GICNT) and Global Partnership against the Spread of Weapons and Materials of Mass Destruction, within their respective mandates and memberships. We welcome the wider participation in the GICNT and the Global Partnership and value its extension beyond 2012. Noting the importance of strengthening coordination and complementarity among nuclear security activities, we welcome the proposal of the IAEA to organize an international conference in 2013. We welcome contributions from the industry, academia, institutes and civil society that promote nuclear security. 3. We reaffirm the essential responsibility and central role of the IAEA in strengthening the international nuclear security framework, and recognize the value of the IAEA Nuclear Security Plan 2010-2013. We will work to ensure that the IAEA continues to have the appropriate structure, resources and expertise needed to support the implementation of nuclear security objectives. To this end, we encourage States in a position to do so and the nuclear industry to increase voluntary contributions to the IAEA’s Nuclear Security Fund, as well as in-kind contributions. We also encourage continued IAEA activities to assist, upon request, national efforts to establish and enhance nuclear security infrastructure through its various support programs, and encourage States to make use of these IAEA resources. 4. Recognizing that highly enriched uranium (HEU) and separated plutonium require special precautions, we reemphasize the importance of appropriately securing, accounting for and consolidating these materials. We also encourage States to consider the safe, secure and timely removal and disposition of nuclear materials from facilities no longer using them, as appropriate, and consistent with national security considerations and development objectives. 5. We recognize that the development, within the framework of the IAEA, of options for national policies on HEU management will advance nuclear security objectives. We encourage States to take measures to minimize the use of HEU, including through the conversion of reactors from highly enriched to low enriched uranium (LEU) fuel, where technically and economically feasible, taking into account the need for assured supplies of medical isotopes, and encourage States in a position to do so, by the end of 2013, to announce voluntary specific actions intended to minimize the use of HEU. We also encourage States to promote the use of LEU fuels and targets in commercial applications such as isotope production, and in this regard, welcome relevant international cooperation on high-density LEU fuel to support the conversion of research and test reactors. 6. Taking into account that radioactive sources are widely used and can be vulnerable to malicious acts, we urge States to secure these materials, while bearing in mind their uses in industrial, medical, agricultural and research applications. To this end, we encourage States in a position to do so to continue to work towards the process of ratifying or acceding to the ICSANT; reflect into national practices relevant IAEA Nuclear Security Series documents, the IAEA Code of Conduct on the Safety and Security of Radioactive Sources and its supplementary document on the IAEA Guidance on the Import and Export of Radioactive Sources; and establish national registers of high-activity radioactive sources where required. We also commit to work closely with the IAEA to encourage cooperation on advanced technologies and systems, share best practices on the management of radioactive sources, and provide technical assistance to States upon their request. In addition, we encourage continued national efforts and international cooperation to recover lost, missing or stolen sources and to maintain control over disused sources. 7. Acknowledging that safety measures and security measures have in common the aim of protecting human life and health and the environment, we affirm that nuclear security and nuclear safety measures should be designed, implemented and managed in nuclear facilities in a coherent and synergistic manner. We also affirm the need to maintain effective emergency preparedness, response and mitigation capabilities in a manner that addresses both nuclear security and nuclear safety. In this regard, we welcome the efforts of the IAEA to organize meetings to provide relevant recommendations on the interface between nuclear security and nuclear safety so that neither security nor safety is compromised. We also welcome the convening of the High Level Meeting on Nuclear Safety and Security initiated by the UN Secretary-General, held in New York on 22 September 2011. Noting that the security of nuclear and other radioactive materials also includes spent nuclear fuel and radioactive waste, we encourage States to consider establishing appropriate plans for the management of these materials. 8. We will continue efforts to enhance the security of nuclear and other radioactive materials while in domestic and international transport, and encourage States to share best practices and cooperate in acquiring the necessary technologies to this end. Recognizing the importance of a national layered defense against the loss or theft of nuclear and other radioactive materials, we encourage the establishment of effective national nuclear material inventory management and domestic tracking mechanisms, where required, that enable States to take appropriate measures to recover lost and stolen materials. 9. We underscore the need to develop national capabilities to prevent, detect, respond to and prosecute illicit nuclear trafficking. In this regard, we encourage action-oriented coordination among national capacities to combat illicit trafficking, consistent with national laws and regulations. We will work to enhance technical capabilities in the field of national inspection and detection of nuclear and other radioactive materials at the borders. Noting that several countries have passed export control laws to regulate nuclear transfers, we encourage further utilization of legal, intelligence and financial tools to effectively prosecute offenses, as appropriate and consistent with national laws. In addition, we encourage States to participate in the IAEA Illicit Trafficking Database program and to provide necessary information relating to nuclear and other radioactive materials outside of regulatory control. We will work to strengthen cooperation among States and encourage them to share information, consistent with national regulations, on individuals involved in trafficking offenses of nuclear and other radioactive materials, including through INTERPOL’s Radiological and Nuclear Terrorism Prevention Unit and the World Customs Organization. 10. We recognize that nuclear forensics can be an effective tool in determining the origin of detected nuclear and other radioactive materials and in providing evidence for the prosecution of acts of illicit trafficking and malicious uses. In this regard, we encourage States to work with one another, as well as with the IAEA, to develop and enhance nuclear forensics capabilities. In this regard, they may combine the skills of both traditional and nuclear forensics through the development of a common set of definitions and standards, undertake research and share information and best practices, as appropriate. We also underscore the importance of international cooperation both in technology and human resource development to advance nuclear forensics. 11. Recognizing that investment in human capacity building is fundamental to promoting and sustaining a strong nuclear security culture, we encourage States to share best practices and build national capabilities, including through bilateral and multilateral cooperation. At the national level, we encourage all stakeholders, including the government, regulatory bodies, industry, academia, non-governmental organizations and the media, to fully commit to enhancing security culture and to maintain robust communication and coordination of activities. We also encourage States to promote human resource development through education and training. In this regard, we welcome the establishment of Centers of Excellence and other nuclear security training and support centers since the Washington Summit, and encourage the establishment of new centers. Furthermore, we welcome the effort by the IAEA to promote networking among such centers to share experience and lessons learned and to optimize available resources. We also note the holding of the Nuclear Industry Summit and the Nuclear Security Symposium on the eve of the Seoul Nuclear Security Summit. 12. We recognize the importance of preventing non-state actors from obtaining information, technology or expertise required to acquire or use nuclear materials for malicious purposes, or to disrupt information technology based control systems at nuclear facilities. We therefore encourage States to: continue to develop and strengthen national and facility-level measures for the effective management of such information, including information on the procedures and protocols to protect nuclear materials and facilities; to support relevant capacity building projects; and to enhance cyber security measures concerning nuclear facilities, consistent with the IAEA General Conference Resolution on Nuclear Security(GC(55)/Res/10) and bearing in mind the International Telecommunication Union Resolution 174. We also encourage States to: promote a security culture that emphasizes the need to protect nuclear security related information; engage with scientific, industrial and academic communities in the pursuit of common solutions; and support the IAEA in producing and disseminating improved guidance on protecting information. 13. We encourage all States to enhance their physical protection of and accounting system for nuclear materials, emergency preparedness and response capabilities and relevant legal and regulatory framework. In this context, we encourage the international community to increase international cooperation and to provide assistance, upon request, to countries in need on a bilateral, regional, and multilateral level, as appropriate. In particular, we welcome the intent by the IAEA to continue to lead efforts to assist States, upon request. We also reaffirm the need for various public diplomacy and outreach efforts to enhance public awareness of actions taken and capacities built to address threats to nuclear security, including the threat of nuclear terrorism. We will continue to make voluntary and substantive efforts toward strengthening nuclear security and implementing political commitments made in this regard. We welcome the information on the progress made in the field of nuclear security since the Washington Summit provided by the participants at this Seoul Summit. The next Nuclear Security Summit will be held in [the Netherlands] in 2014. The disinvestment of 10 per cent Government of India shareholding in NALCO is under active consideration of the Government. The draft proposal has been sent to various ministries including the Ministry of Mines for their comments. The comments from the Ministry of Mines are awaited. Under the prevailing guidelines, for disinvestment of Government of India share holding in CPSEs, the comments of the State Governments are not envisaged. The disinvestment proceeds are channelized into National Investment Fund (NIF) and income from the Fund is used for investment in social sector projects and capital investment in selected profitable/revivable Public Sector Enterprises in order to enlarge their capital base to finance expansion/diversification. In view of the different economic situation caused by the global slowdown of 2008-09 and a severe drought that could adversely affect the 11th Plan growth performance, Government in November 2009 decided to give exemption for utilization of proceeds from disinvestment of CPSEs for a period of three years – from April 2009 to March 2012 – i.e. disinvestment proceeds during this period would be available in full for investment in specific social sector schemes decided by Planning Commission/Department of Expenditure. The same has now been extended by another one year, i.e. from April 2012 to March 2013. However, the existing corpus of the NIF shall remain untouched and continue to be managed by the Fund Managers. The disinvestment proceeds are being used for funding the capital expenditure under the social sector schemes of the Government. This information was given by the Minister of State for Finance, Shri S.S. Palanimanickam in written reply to a question in Rajya Sabha today. The Reserve Bank of India (RBI) has received references from the India Centre for Islamic Finance for introducing interest-free banking in the country in order to ensure inclusive growth with innovation in accordance with recommendations of the Raghuram Rajan Committee. RBI has informed that in the current statutory and regulatory framework, it is not legally feasible for banks in India to undertake Islamic banking activities in India or for branches of Indian banks abroad to undertake Islamic banking outside India. This information was given by the Minister of State for Finance, Shri Namo Narain Meena in written reply to a question in Rajya Sabha today. With the Army chief's allegation of bribe offer kicking up a storm, Defence Minister A K Antony has said he had asked General V K Singh to take action but he did not want to pursue the matter for unknown reasons. The issue of separate Telangana and the derogatory remarks by Team Anna against MPs created uproar in the Lok Sabha for the second day on Tuesday with several members raising the issues forcefully. India has made a strong pitch for membership of four exclusive nuclear clubs contending that it would help strengthen its export control systems and maintain highest international standards of its nuclear prog. Israel cut working relations with the United Nations Human Rights Council and will bar a UN team from entering Israel or the West Bank for a planned investigation of Jewish settlements, the Foreign Ministry said. Atleast 15 CRPF personnel were killed in a landmine blast trigerred by suspected Naxalites in Pushtola district of Maharashtra on Tuesday.  Includes IEBR of ` 84.80 crores. includes funds for weather based Crop Insurance Scheme also. Pulses, Oil Pam & Maize (ISOPOM) as State Share. - ` 5.60 crores for Devsthan. - ` 5.00 crores for Excise Department. - ` 2.20 crores for Civil Defence & Home Guards. - ` 5.17 crores for Treasuries & Accounts. - ` 2.00 crores for Stamp & Registration.